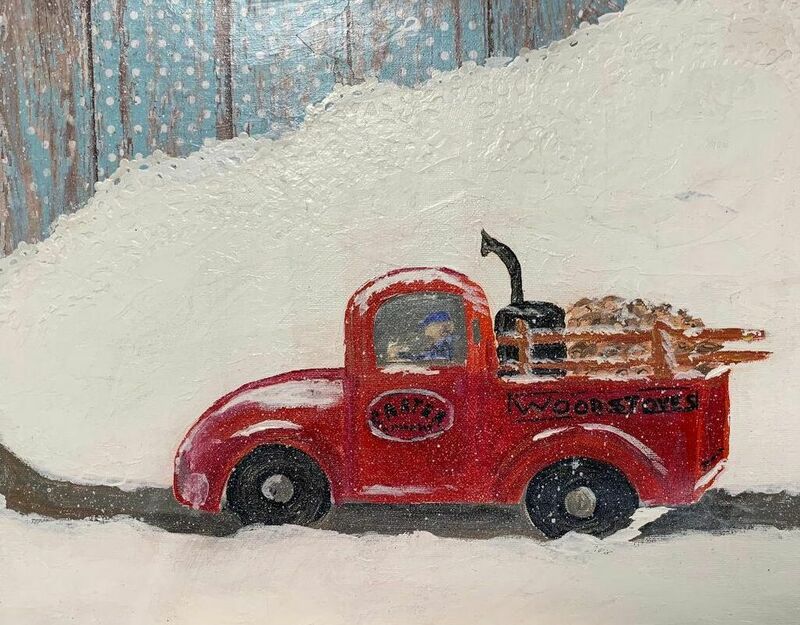 It's cold outside and a little old truck rumbles along a country road, delivering a much needed wood stove and a cord of wood to some lucky neighbor! This is a folk-art style of painting using paper, acrylic paint, and a little imagination. Even though I will be teaching step by step instructions, no two paintings will be the same, as folk art is intended! Just come and enjoy learning and experimenting with new techniques. Bring friends, beverage, and a snack. Go home with a nice little painting and memories of a good time! Beginners welcome. Supplies will be provided, but you are welcome to bring special papers or brushes you would like to use.